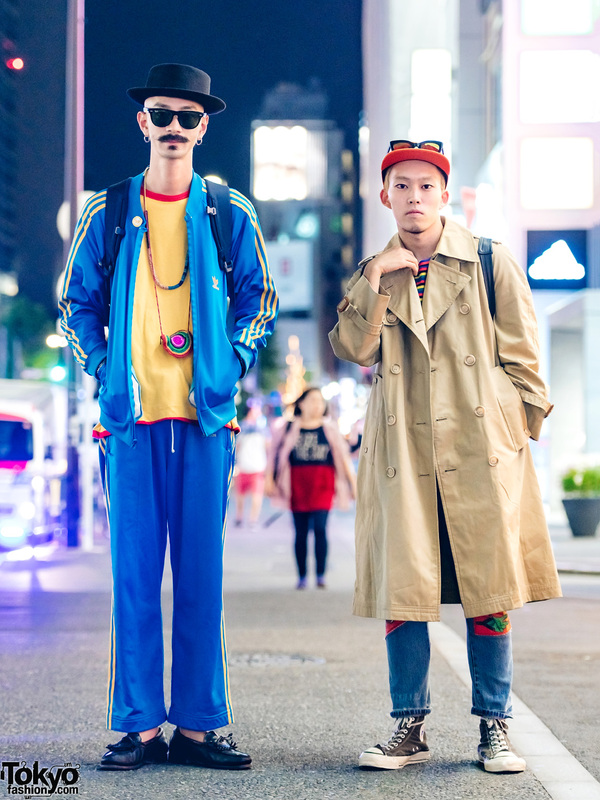 Harajuku guys in eclectic streetwear styles while out and about at night. 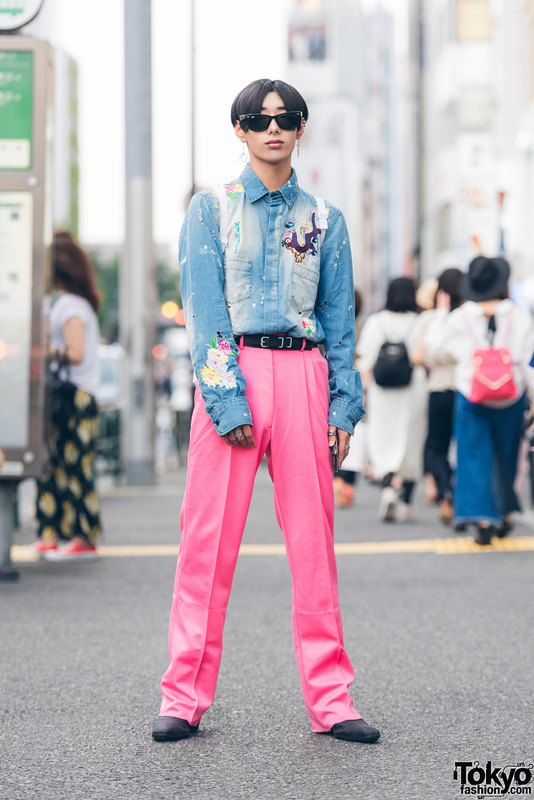 Harajuku fashion student wearing a long sleeve denim shirt, pink pants, leather shoes, black belt, mismatched earrings, sunglasses, and a canvas drawstring backpack. 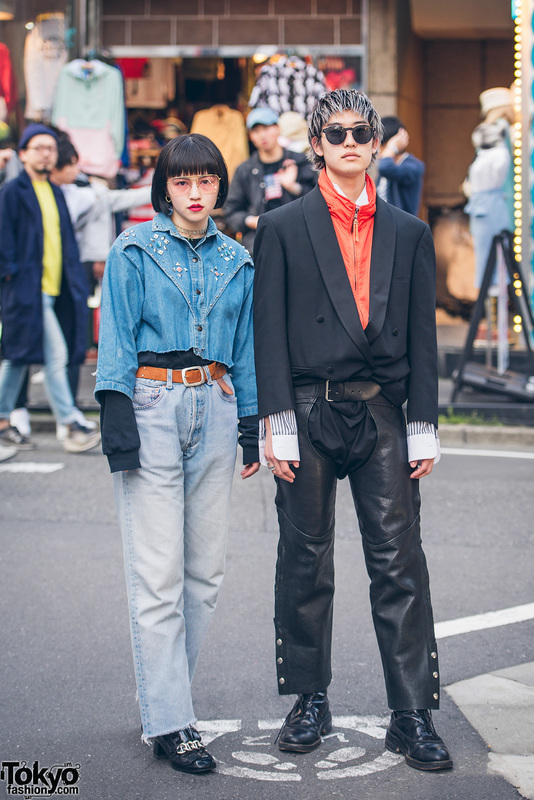 Harajuku duo in eclectic street fashion with denim jacket, acid wash jeans, heeled loafers, and blazer, cowboy pants and boots. 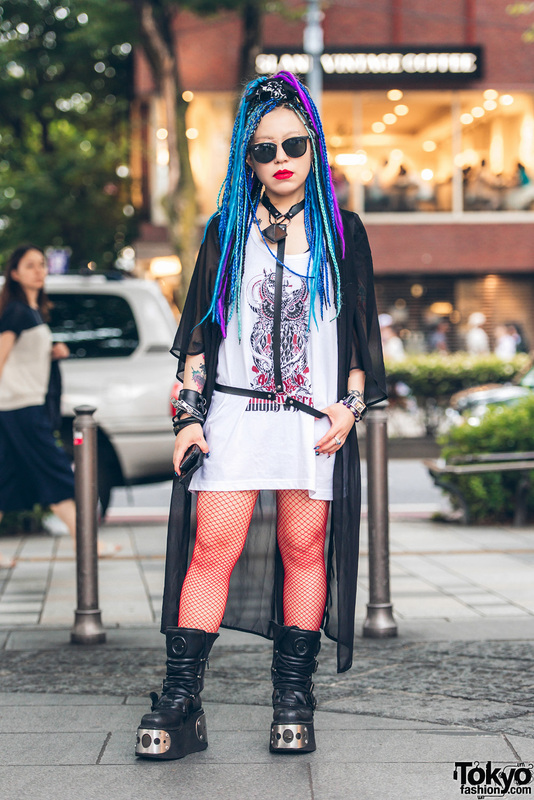 Harajuku girl wearing a coat, long white top, red fishnet stockings, platform boots, and accessories. Harajuku yellow-haired student in colorful vintage fashion with sleeveless tee over a button down shirt, pink pants, black shoes, a straw hat, sunglasses, and a silver bracelet. 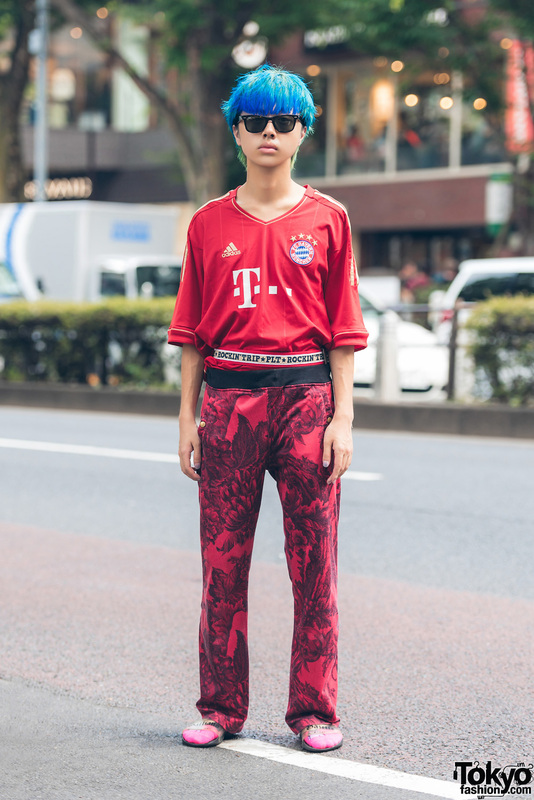 Blue-haired Harajuku student in red street style with vintage soccer jersey, printed pants, pink socks, sliders and sunglasses. Harajuku guy in black sunglasses, sweatshirt and wide leg pants with white canvas tote bag and sandals. 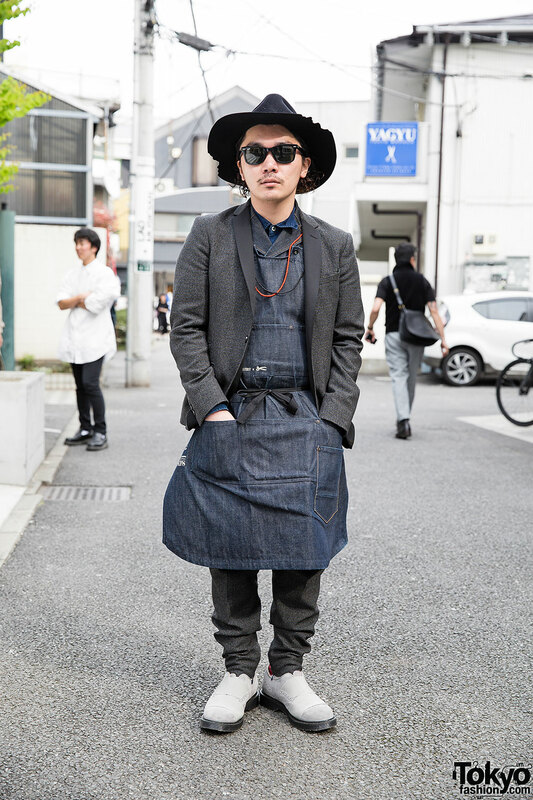 Li Lium in hat, sunglasses, jacket, denim apron and jeans with seed bead necklace and gray shoes. Harajuku girl with pink hair wearing a long shirt with shorts, metallic backpack and flatforms, and golden accessories vs. Harajuku guy in minimalist t-shirt, shorts, sunglasses, tote bag and brogues.